SAN RAFAEL, Calif., April 17, 2019 /PRNewswire/ -- BioMarin Pharmaceutical Inc. (NASDAQ:BMRN) announced today that it has been ranked fourth on Forbes magazine's 2019 list of "America's Best Midsize Employers," increasing from 51st on last year's 2018 list. BioMarin was ranked first among its peers in the 'Drugs & Biotechnology' industry. "We are honored to again be named one of Forbes Best Employers. It's a point of pride for all of us at BioMarin that we only develop medicines that are the first or the best of their kind. The medical and scientific firsts in rare diseases that BioMarin has achieved over the last two decades would not be possible without the commitment and passion of the more than 2,900 people who work here," said Jean-Jacques Bienaimé, Chairman and Chief Executive Officer of BioMarin. "Our deep connection to patients with rare diseases gives meaning to our work and motivates us to tackle tough scientific problems." "Our pioneering spirit is infused throughout the organization and appeals to people who love doing what's never been done before," said Amy Wireman, Group Vice President Human Resources. "Our greatest assets are our people. We consistently evaluate how we operate, so that our work environment evolves and continues to foster individuals and teams coming together for one common purpose—making a big difference for small patient populations." 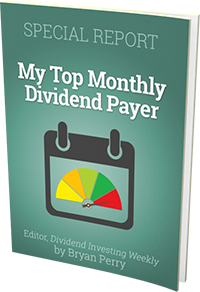 The survey was conducted using an online access panel, providing a representative sample of ~50,000 employees working part- or full-time for companies and institutions employing more than 1,000 employees in the U.S. Participation in the survey was voluntary, and respondents were recruited from thousands of sources to maximize reach and representation. Forbes has previously recognized BioMarin on its "Most Innovative Companies" and "World's Best Employers" list. 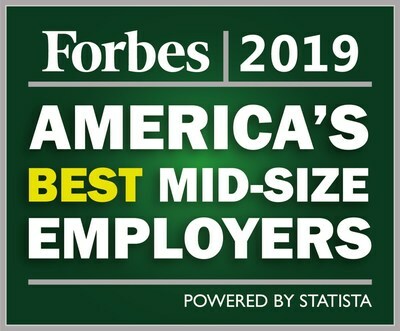 To view the complete list of Forbes Best Midsize Employers, click here. Each employee has been asked which firm or institution he or she works for, in an open-ended question with an autofill-option. Where appropriate, subsidiaries of larger entities have been combined for evaluation. The survey has been conducted on companies from all industry sectors employing more than 1,000 employees in the U.S. The recommended employers have been grouped into one of the 25 industry sectors. The evaluation was based on two distinct criteria: direct and indirect recommendations. Further, the employees were asked 35 questions about work related topics. Employees were asked to give their opinions on a series of statements surrounding work-related topics of working conditions, salary, potential for development and company image regarding their current employer.